Lauren van Uden has more than a few strings to her bow. During the day, she works as an industrial designer in the Research and Design team for Transport for London, trialling and developing new products and technologies for the transport network. In the evening, you’re likely to find Lauren sat at a pottery wheel in Peckham, where she creates beautiful ceramics at the South London based studio The Kiln Rooms. However, Lauren is about to get even busier in a different way. At 35 weeks pregnant, she’s preparing for her and her partner Tim’s first foray into parenthood. 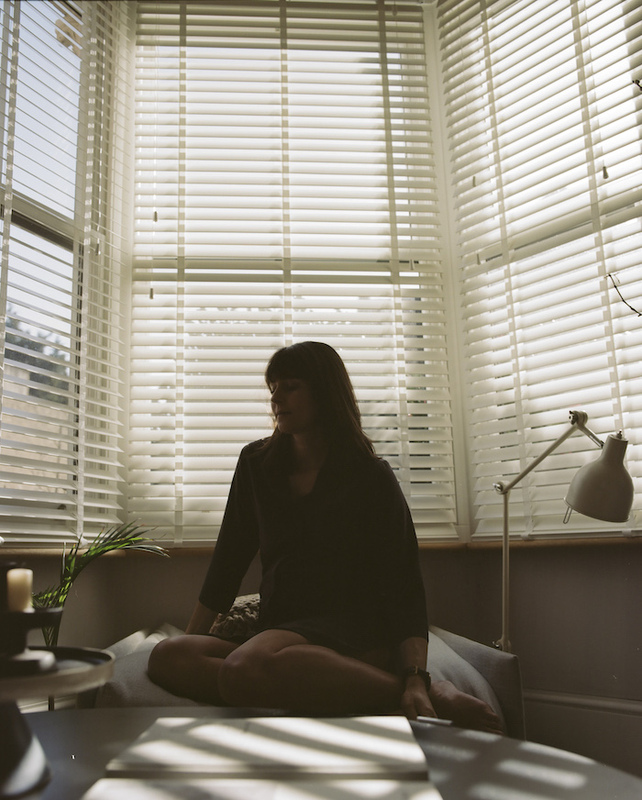 We spent some time in her home with photographer Jessica Maccormick as part of our Expecting series, where we chat to mothers-to-be during pregnancy as they are about to enter the next, new chapter of their lives. Lauren and Tim are both long-term Glasshouse friends who have been with us from the very beginning. In fact, the pair were the aesthetic visionaries behind the Glasshouse interior, designing the salon and taking it from abandoned storage space into a fully-functioning, sustainably-made salon. 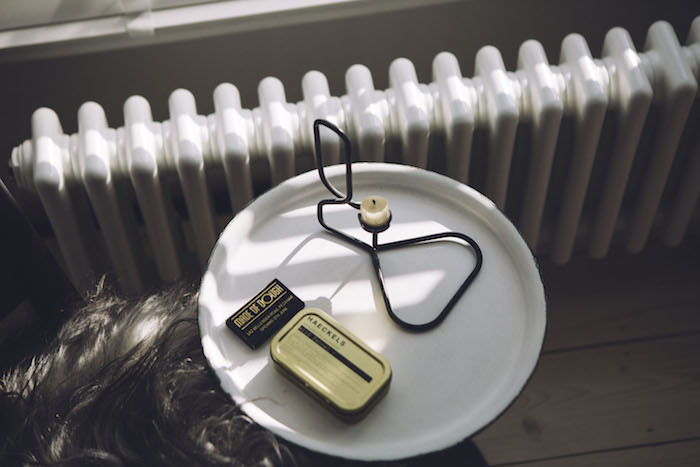 Everything from the lighting to the bespoke in-built furniture were masterminded by the duo, and they still contribute to the design of the salon today. Relaxing isn’t always the easiest feat during a first-time pregnancy, but Lauren has adapted her own ways of slowing down and zoning out from trimester to trimester. Exercise has been key - swimming in particular and some local pilates sessions at The Space East in Forest Gate (“It’s taught me a lot about the function of the pelvic floor muscles and the changes that our bodies go through during pregnancy”). However there are some forms of exercise Lauren has had to ease up on, “Before pregnancy I was cycling a lot which I gave up in my second trimester as I work in central London and the roads can be a little hectic” she says. In fact, her morning routine has changed further, despite “still jamming myself on the Central Line at Leyton during rush hour”, Lauren now gets up half an hour earlier to fit in some morning stretching exercises, pilates and a bit of Swiss ball before tackling the commute head-on. Evenings involve a long bath, more pilates and some hypnobirthing exercises which she and her husband have been practising together. Gentle exercise aside, Lauren has another method of unwinding that stems much further back than her pregnancy. Starting life as an escape from days spent in front of a computer at work, creating beautiful ceramics has been Lauren’s passion project since she signed up to a Tuesday night class in 2014 with Stuart Carey at his Hoxton Studio. 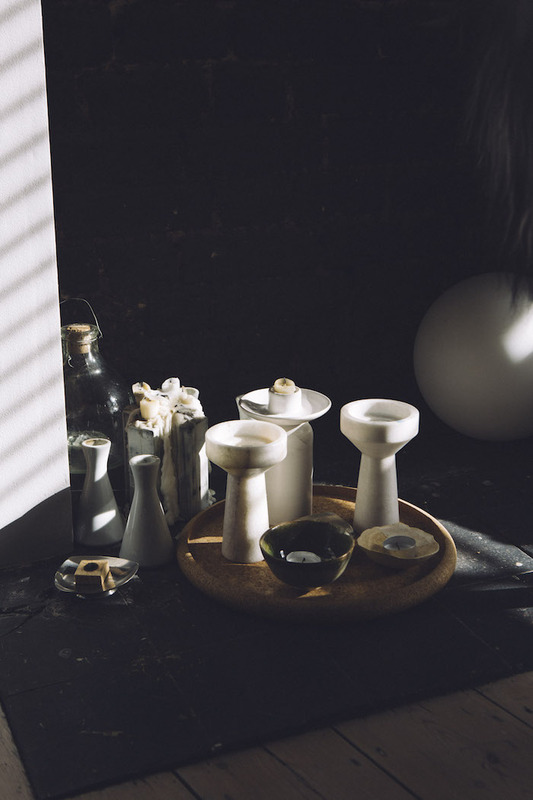 Four years on and the side hustle has evolved into a fully fledged enterprise, with a collection of cups, jugs and plates under the Studio LVU umbrella, all moulded from natural clay and taking inspiration from texture, shape and sculpture. During pregnancy, ceramics has become even more of a release: “Throwing on the wheel is very relaxing - you have to be focused so it’s a great way to zone out” Lauren explains, “Sitting at the wheel is a good position for baby too; upright, forward and open.” It’s also been a great way of meeting likeminded people as well, as a member of Bellenden Road’s The Kiln Rooms. 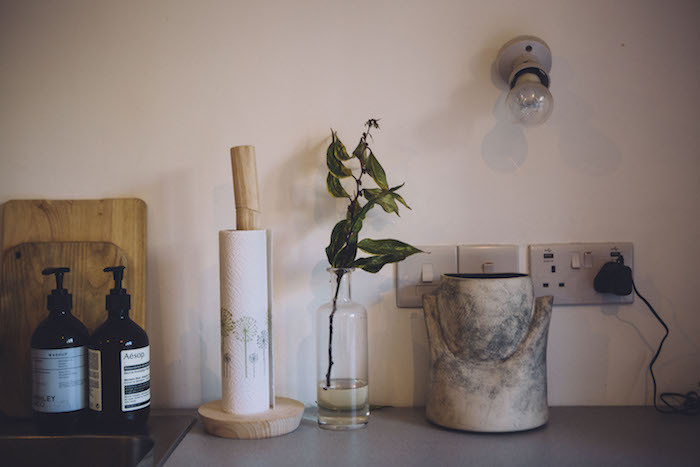 Lauren’s most recent commission has been a collection of stoneware ceramics for Burgess & Hall, a wine shop and bar in Forest Gate that focus on natural, organic and biodynamic wines. There’s something endearing about Lauren’s love of being hands-on and her connection with nature - whether that’s through working with clay or getting outdoors and active. A New Zealand-native, pregnancy has given her time to reflect on the kind of upbringing London offers for a child. 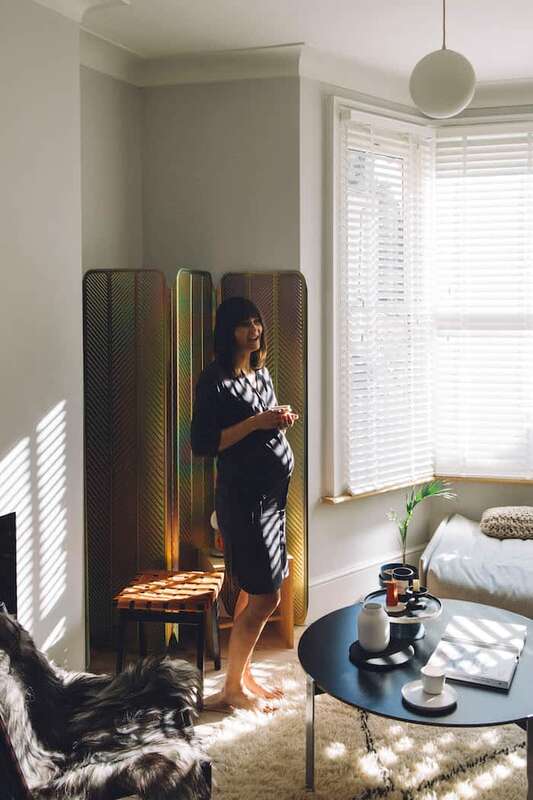 Far from the sweeping landscape of her Kiwi childhood, Lauren has made East London her home and is looking forward to motherhood in the city. 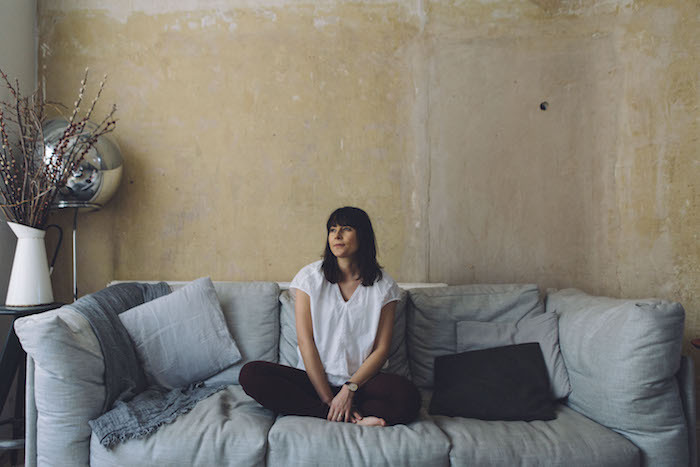 As Industrial Designers, home is something that’s integral to both Lauren and Tim. With only a couple of weeks to go before baby is due, the pair are still making some final renovations on their Leytonstone home - which they bought as project and have been working on ever since. 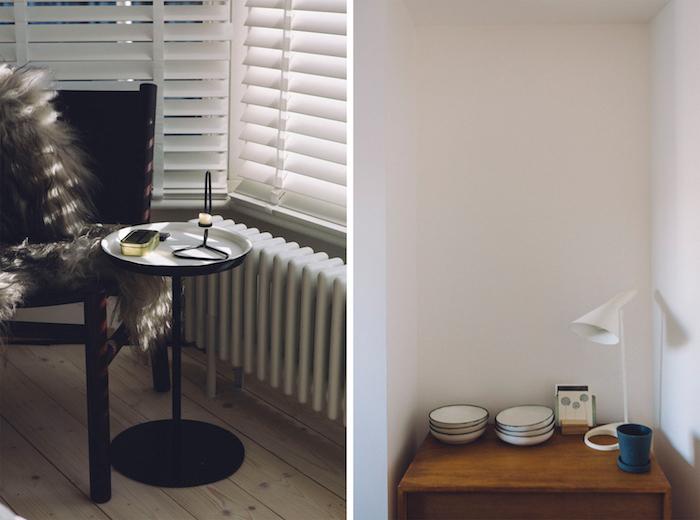 A self-confessed minimalist, Lauren’s home is an extension of her’s (and Tim’s) personal aesthetic and their work in the industrial realm too. The airy Victorian house features stripped wooden floors and tones and textures drawing from nature, with plenty of subtle nods to the duo’s curated design taste too - think orb-shaped lighting and framed artwork. The 1940s newspapers may have vanished, but the space is still packed with character. It’s time to peel ourselves away from Lauren’s squishy, denim-blue sofa and leave her in peace for the final few weeks of pregnancy. Calm-headed and composed with a healthy approach to life, home and wellbeing, Lauren is as well-equipped as she can be for her imminent foray into family life. As we wave her Leytonstone abode goodbye, we feel hopeful to see what motherhood will bring for Lauren and privileged to get a glimpse into these last days of her Expecting journey. Olivia (Glasshouse Salon director) recommended the Ina May Gaskin book Guide to Childbirth which I read early on in my pregnancy. It was a great confirmation that the female body is capable of amazing things and is designed to enable a natural birth, even if your baby is 10 pounds plus. The book is full of inspiring and positive birth stories and advice, I would recommend to any expecting mum. I have tried not to change my wardrobe and continue to wear a lot of my favourites still at 35 weeks. Being pregnant over winter means I have been able to layer up slouchy knits and floaty dresses. I love leggings and trousers with stretchy wastebands and have some pieces by Alexander Wang and Rick Owens that I mix with staples from Cos and Folk. I have bought some maternity leggings and sleepwear and of course some comfortable bras and singlets to stretch right over bump and keep bubs nice and warm. My bump started showing quite early on, people thought we might be having twins! 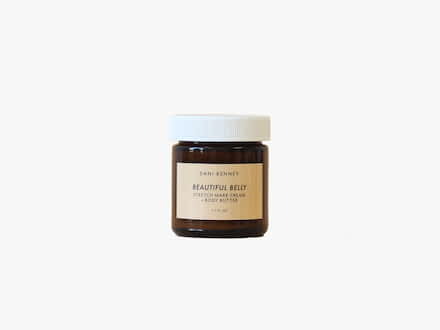 I have been using the Dani Kenny Beautiful Belly balm and, with only 5 weeks to go, there are miraculously still no signs of stretch marks. Thank you Lauren for letting us in your beautiful home. 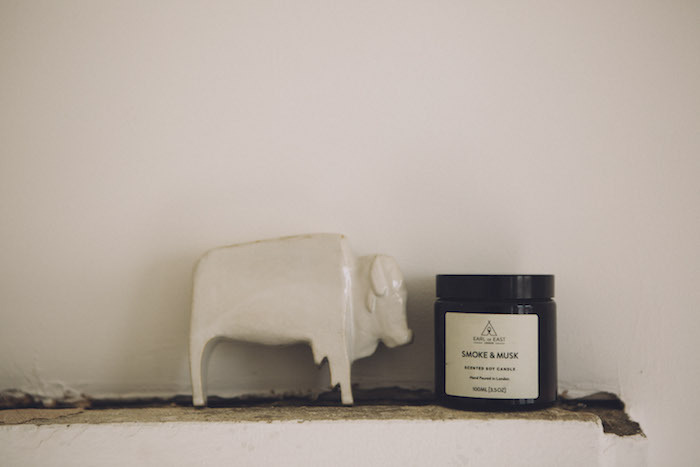 Lauren regularly used Californian natural brand Dani Kenney’s Beautiful Belly balm to keep stretch marks at bay during pregnancy. Rub in liberally for comfort and bump-nourishment. 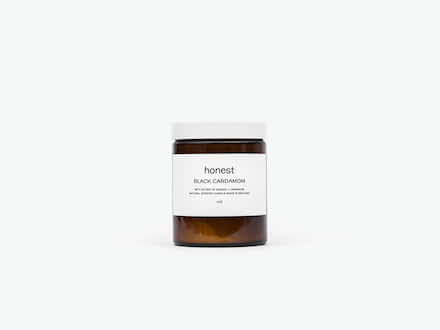 Honest’s delicately scented 100% natural candles are the ideal companion for slowing down and enjoying the home.